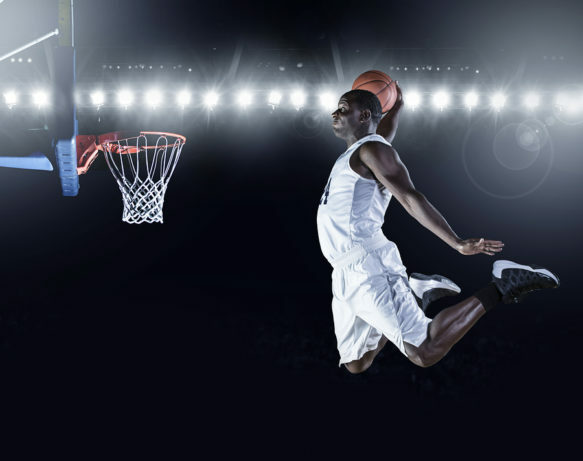 His career in the NBA is well-known: NBA All-Star, leading the league in blocked shots in four seasons, a five-time member on the NBA all-defensive team. He has two records including the most blocked shots in one season (456) and career average blocked shots (3.5). 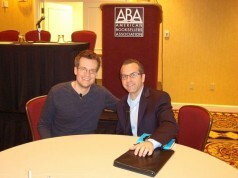 His career continues as a motivational speaker, entrepreneur, and now, author. 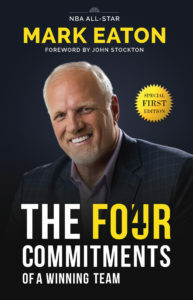 His book, The Four Commitments of a Winning Team, is a blend between his intriguing personal story and his principles for teambuilding. Even if you don’t follow professional basketball, I am certain you will enjoy it. Commitment #1: Know your job. Commitment #2: Do what you’re asked to do. Commitment #3: Make people look good. In the United States, that means basketball. March Madness was born on March 27, 1939. The record for the most successful team ever is still held by UCLA with eleven championships. How many of those were directly under the leadership of legendary basketball coach John Wooden? An astounding ten. Still amazing. Pat Summit’s record is also one for the history books with six championships for Tennessee (and 1,098 career wins!). As someone who collects inspiring quotes, there is an unending supply of great ones from outstanding players and coaches. Don Yaeger is an expert on what it takes to cultivate a champion mindset. He was associate editor of Sports Illustrated for over a decade; he has made guest appearances on every show from Oprah to Good Morning America, and he’s also authored more than two dozen books. Now a public speaker, he shares stories from the greatest winners of our generation. So when his new book, Great Teams: 16 Things High Performing Organizations Do Differently, arrived on my desk, I couldn’t wait to read it. I wasn’t disappointed. Don’s insight on high-performance is evident on every single page. I recently had the opportunity to talk with him about his research into what makes a team great. Don, you’ve seen the inside of great teams in the sports and the business worlds. Your new book focuses on 16 characteristics of great teams. Let’s talk about a few of them. Your first point is that great teams understand their why. Purpose motivates both individuals and teams. How does the personal “why” interact with the team “why”? Do they ever conflict? Companies that understand the purpose and philosophy behind the “why” are usually astute, high-performing organizations that tap directly into the pulse of those they benefit the most. 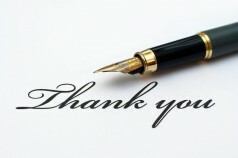 When utilized correctly, this understanding can create a powerful sense of duty and purpose for business teams because the employees know exactly whom they are working for and to what end. You talk about letting culture shape recruiting. In a large company, how do you make this a reality so that every single hiring manager is thinking about culture and not just reviewing a resume? Purpose and leadership are essential to building a team culture. Once an organization determines its “why” and aligns its leadership style with the needs of its members, it is on the right path to becoming a Great Team. But culture building doesn’t stop there. A team must also recruit the right talent. If done well, recruiting will result in a highly competitive team that is consistently motivated to seek and claim success. Great Teams recruit players who fit—who will thrive within the established team culture and add value to it. The talent of the employee or teammate is important, but fit trumps all. These organizations understand that Great Team culture establishes an environment conducive to success, but that success ultimately depends on the right kind of personnel. In today’s marketplace, it is very easy to be wowed by decorated resumes. When the “ideal” candidate—the one with the outstanding CV—arrives, many leaders incorrectly believe that including that person will automatically better the team. A Great Team, however, understands that fit is more important than credentials. Someone who might be perfect for one environment—or might have been great while working for a competitor—will not be a guaranteed fit for another. That’s something hiring managers should keep in mind as they build their teams. What makes a successful huddle? Successful huddles are all about open and consistent communication. 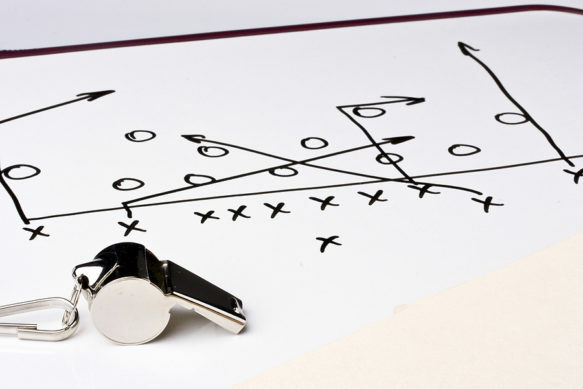 Under head coach Bill Walsh, the San Francisco 49ers placed such importance on the art of the meeting that he had specific rules and procedures regarding how each one should run. Walsh analyzed and even recorded meetings to spot potential lulls and weaknesses in their process. He wanted to make sure his assistant coaches—who would sometimes change from year to year—were teaching his team in a consistent fashion. Quarterback Joe Montana, who came on board right after Walsh did, shared Walsh’s high opinion of meetings. This legendary team leader—who won four Super Bowl championships and is tied for the most titles among all quarterbacks—was known in and around the NFL as “Joe Cool.” He had an uncanny knack for seeing all aspects of the game from his position on the field and was seemingly unflappable in the most pressurized situations. And there was a reason for Montana’s demeanor: like Walsh, he believed in a very diligent, orderly meeting process as a means of keeping players engaged. For Montana, the huddle was a sacred place and the ultimate comfort zone. There were rules to be followed when Montana was giving out information for the next play. If those rules weren’t adhered to, Montana told his teammates to take the issue somewhere else. The huddle was a place where everyone needed to be engaged and headed in the same direction. Great Teams in businesses can take a page from Walsh’s and Montana’s playbook and conduct orderly, disciplined meetings. Such order makes a bigger difference than many leaders want to admit. A successful meeting revolves around clear communication. It can be pivotal to achieving greatness because it explains precise strategy and opens the door to new ideas. An efficient meeting allows an organization to remain one step ahead of the competition and forces it to remain consistent with any existing strategies. But these ideas must be streamlined by a process and guided by a leader who can filter out the good ideas from the bad. Great teams understand their why. Great teams have and develop great leaders. Great teams allow culture to shape recruiting. Great teams create and maintain depth. Great teams have a road map. Great teams promote camaraderie and a sense of collective direction. Great teams manage dysfunction, friction, and strong personalities. Great teams build a mentoring culture. 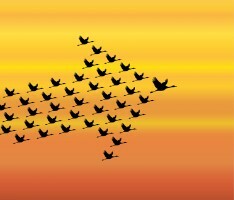 Great teams adjust quickly to leadership transitions. Great teams adapt and embrace change. Great teams run successful huddles. Great teams improve through scouting. Great teams see value others miss. Great teams win in critical situations. Great teams speak a different language. Great teams avoid the pitfalls of success. Would you share an example of where one team missed “value” and another team spotted it and capitalized on it? Legendary basketball coach John Wooden shared some timeless advice for his players that not only applied to his team, but to all of us. Have faith that things will work out if we do what we are suppose to do. Don’t whine, complain or make excuses. John Wooden didn’t cut corners, and he didn’t let his values slide in order to win. His consistency was legendary. I often read his inspiring quotes. He is known for winning ten NCAA national championships in twelve years. With his attitude and wisdom, I am certain he would have been successful at nearly any endeavor. And the list could go on and on. I’m talking, of course, about Senator Bill Bradley. Senator Bradley recently sat down with me to talk about a range of topics from his life growing up, his experiences as a pro basketball player, his life as a Senator, and the current issues facing our country. 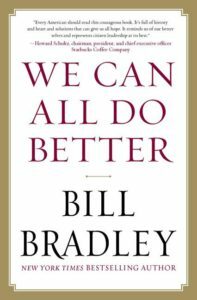 Senator Bradley’s latest book is titled We Can All Do Better. Citizens. It takes all of us to make a better country. Citizen involvement is what spurred the greatest movements. From abolitionists fighting to end slavery all the way to environmentalists cleaning up our air and water, the greatest changes occur when individuals get involved to make a difference. These societal changes were not driven by the government. They were driven by citizens.